Arsenal host Spurs for the second time in a matter of weeks but the visitors will be seeking their revenge. Arsenal host Tottenham Hotspur in the Carabao Cup quarter-final on Wednesday evening. The two sides met at the Emirates Stadium just over two weeks ago in the Premier League where the Gunners enjoyed a 4-2 victory. However, Mauricio Pochettino will be seeking his revenge and his first victory on enemy soil to progress to the semi-finals. 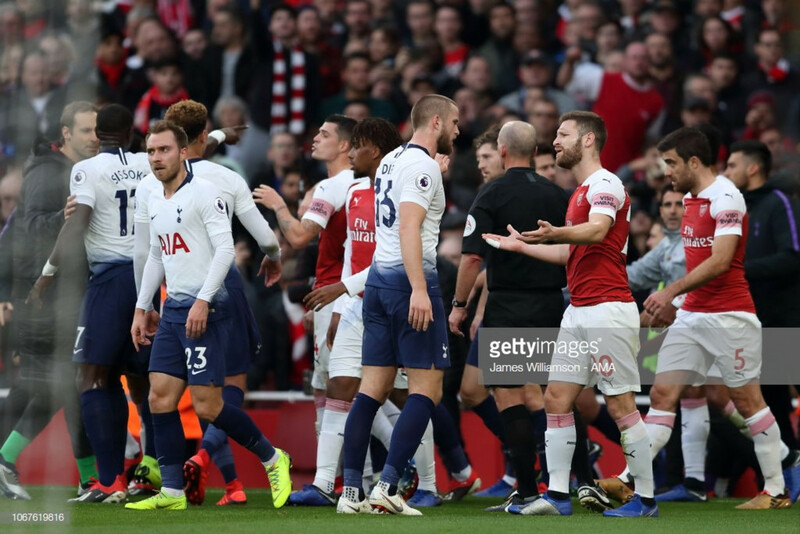 On 2 December, Spurs travelled the short distance to their north London rivals Arsenal. Pierre-Emerick Aubameyang gave the hosts an early lead from the penalty spot, however, Spurs fought back through goals from Eric Dier and Harry Kane to take a 2-1 lead into the break. Unai Emery made two changes during the interval, bringing on Alexander Lacazette and Aaron Ramsey. The double switch proved effective as goals from Aubameyang, Lacazette and Lucas Torreira spoked a second-half revival from the hosts. Quite a turn around from Emery's men in the manager's first taste of a north London derby. Arsenal right-back Hector Bellerin will miss the clash after suffering from a calf injury in the 3-2 defeat to Southampton on the weekend. Left-back, Sead Kolasinac remains unavailable through injury but Shkodran Mustafi will be assessed ahead of the match. Jan Vertonghen, who was sent off two weeks ago at the Emirates Stadium will miss the game through a thigh injury picked up against Barcelona. However, centre-backs Juan Foyth and Davinson Sanchez are both in contention to return to the side after being sidelined through injury. It is also expected Paulo Gazzaniga will retain his place in goal for cup duty after playing in the 3-1 victory over West Ham United. "He (Gazzaniga) is going to play. I will rotate (laughs). One player for sure, yes," said the 46-year-old. Gazzaniga played in Spurs' previous two Caraboa Cup games against Watford and West Ham. "We consider Hugo for different reasons as he needs to breathe a little bit. I think Paulo, after playing against Watford and West Ham, deserves to play. "It's the first time I give news like this after nearly five years!"